All coloring in animals comes from a pigment called melanin. 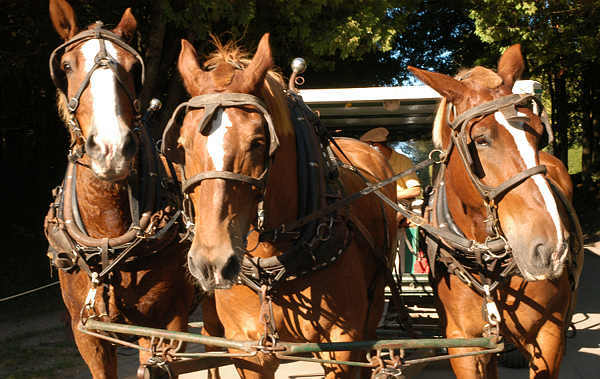 In horses this pigment appears in two forms, eumelanin (black) & phaeomelanin (chestnut). All coat colors come from the interaction of these two genes along with that of various modifiers & dilutions. 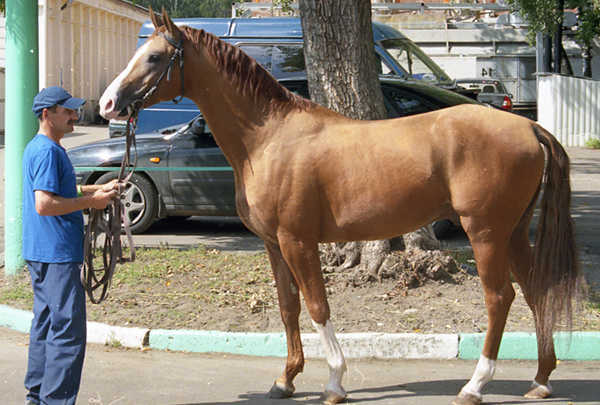 Chestnut horses (also called sorrel) have no black hairs, they only display red hairs throughout their body. Although they may have white markings on their face or legs. Chestnuts come in a wide variety of shades, but they are essentially all the same genetically. 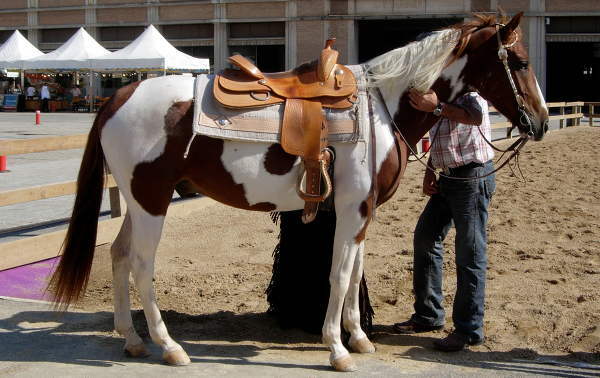 This is perhaps one of the most common colors & can be found in most breeds. There is a rainbow of reds in the chestnut family, but most fall under one of three main color names. This is the least common of the chestnut shades & can be almost black in color. 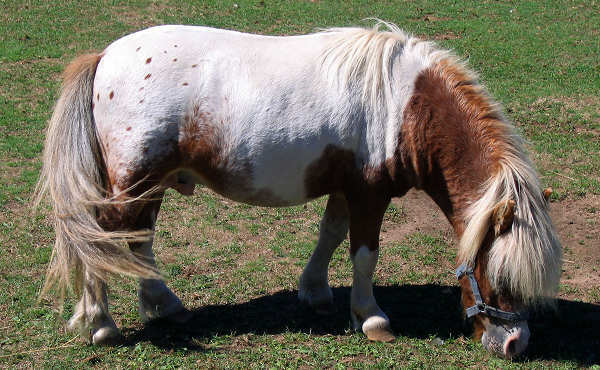 Liver chestnut can be confused with silver dapple if accompanied by a flaxen mane & tail, or fading black when accompanied by a dark mane & tail. This is the most common shade of chestnut & ranges from bold red to a more toned down copper color. 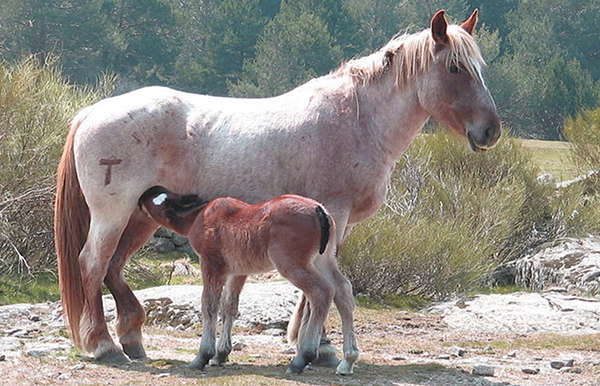 The mane & tail color also ranges from very light to very dark. This is the second most common chestnut shade & is a very pale red or strawberry blonde. 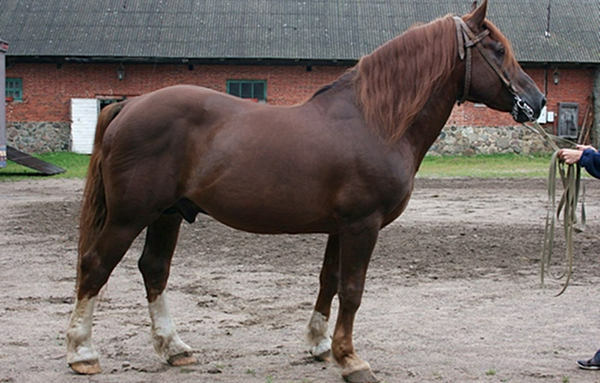 Mane & tail ranges from darker than coat color to blonde. 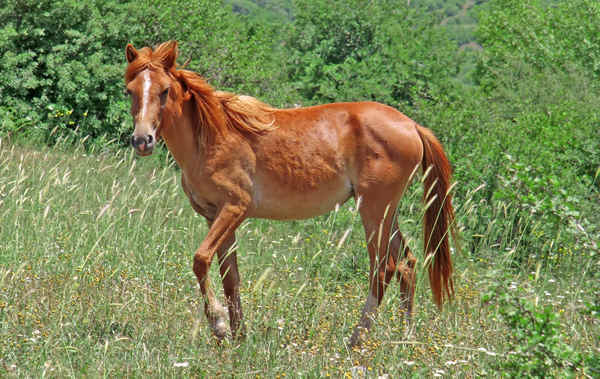 Sandy chestnut can be mistaken for a palomino when accompanied by a blonde mane & tail. White patterns can be found across any coat color & chestnut bases makes for some fiery, interesting patterns. Chestnut base with an appaloosa white pattern. Chestnut base with a pinto white pattern. Chestnut base with a roaning white pattern.